CCMI works to protect healthy coral reefs and vibrant oceans for the future. We believe we can save coral reefs for the future, if we act now. Our Healthy Reefs efforts in 2019 and beyond seeks to build engagement throughout the local community – without whose support, the future for corals is uncertain. sharing latest research and findings from the Little Cayman Research Centre with the public through the Reef Lecture Series, Reefs Go Live programmes, educational posters, and fun events that get everyone involved! 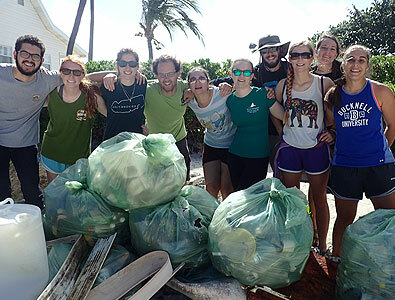 Join our Healthy Reefs effort! No matter where you are in the world, you can play a part in protecting coral reefs for future generations. WHAT IS A HEALTHY REEF? Coral reefs are often referred to as ‘rainforests of the sea’ because of their tremendous diversity of species, vibrant colours and tremendous levels of productivity and interconnectedness. Unfortunately, due to changing environmental conditions and increased human activity near tropical coastlines, once vibrant reefs that teemed with dozens of species of fish are in decline. This is a worldwide occurrence where more than 70% of all coral reefs are under threat, and it is time to help our reefs stabilize and return to a healthy state. WHAT DO CAYMAN’S COARL REEFS LOOK LIKE? 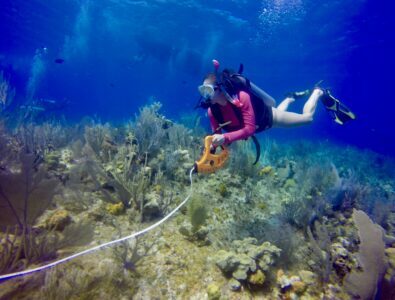 When CCMI first started in 1998, we undertook a three island survey, where scientists conducted a baseline study using the Atlantic & Gulf Rapid Reef Assessment (AGRRA) protocol on the status of Cayman’s coral reefs. We measured and counted fishes, algae and corals to species level, as well as recorded coral health and mortality. Twenty years later, researchers again headed underwater to assess the same sites using the same methods, comparing the results from the two surveys. Looking back over this time period CCMI is pleased to report that while there is evidence of decline in Cayman’s coral reefs (particularly in Grand Cayman), some of the metrics indicate stability in reef health. For the Sister Islands, coral cover, coral size, fish density and fish size for the most part indicate no significant changes since 1999. Given the concerns regarding increasing sea temperatures and increasing human pressure, it is a relief to see that reef health has not declined significantly between 1999 and 2018. Similarly, the decline in coral disease, particularly on Grand Cayman, is one very positive result of the surveys; corals appear healthier despite the various disease epidemics that have affected the region recently. 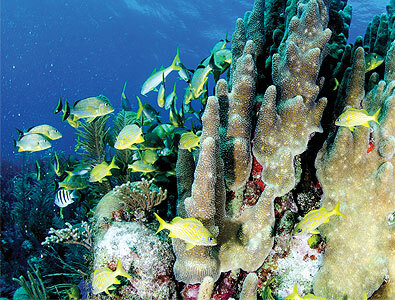 In the Cayman Islands, coral reefs are not only beautiful, but they provide a lot of value and support for our islands. Coral reefs cover less than 1% of the ocean but are home to more than 25% of all marine species. This biodiversity is truly vital to healthy ocean ecosystems. No matter where you are in the world, you can help support and take action for healthy coral reefs! Leave shells and pieces of coral on the beach and in the water. They’re homes for our precious wildlife and also provide important structure on the beach to help prevent erosion. Support CCMI as we undertake the Healthy Reef campaign! In 2018, CCMI started something. We got people involved in learning about and taking action for coral reefs during the third International Year of the Reef! Based on the high level of interest in events and experiences offered by CCMI, we are excited to continue outreach opportunities. We hope you will join us in promoting Healthy Reefs! CCMI is offering this chance to ‘dive’ beneath the waves with our team in Little Cayman. Join us as we take an up close look our coral reefs, learning about what makes a reef ‘healthy’. As part of our year-long effort to promote Healthy Reefs, we’ll show our Grand Cayman ‘dive buddies’ at the Cinema more about the beauty and diversity of coral reefs, discuss why reefs are so important to the Cayman Islands, and how we can each do something to help ensure our reefs remain among the healthiest in the Caribbean. Details and registration information will be updated soon.